Hello! 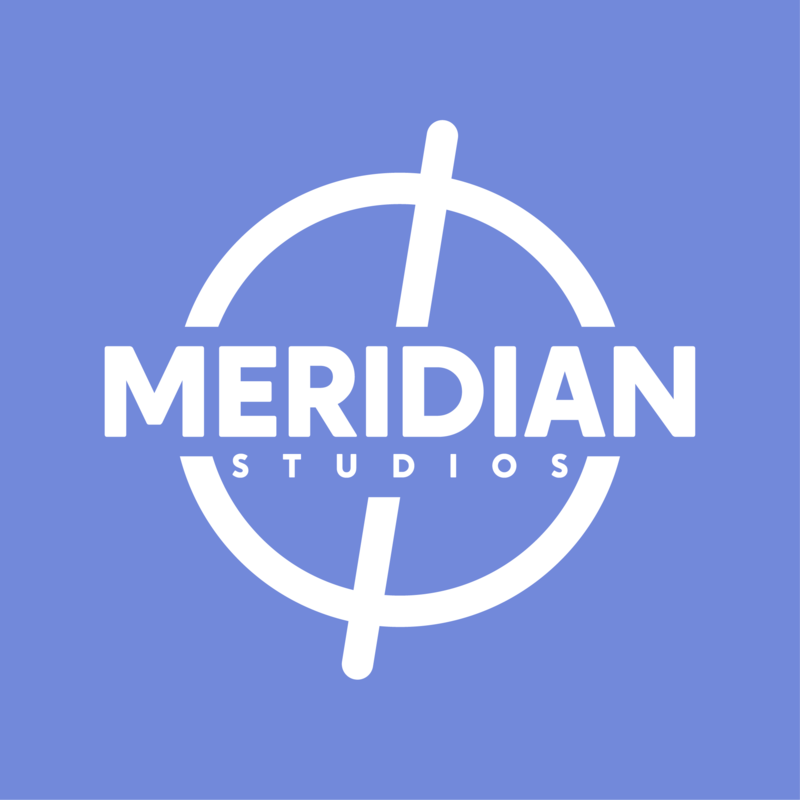 We are Meridian Studios, a fairly large game development team working on an even bigger game! We’re looking for anyone who is willing to join our team and work with us on our project, Expanse! 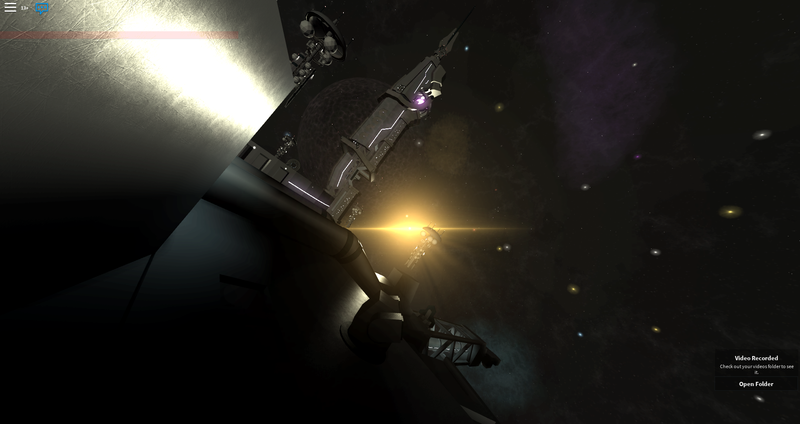 Help create assets such as environments and spaceships that work with our current style. Help with assets such as icons, logos, particles, renders, etc. Create Audio effects such as lasers firing or your ship getting hit (We know its space and you’re not suppose to hear things, but it’s a game, silence wouldn’t be fun). If you have skills you think would help us as a team but didn’t see it listed, come show us! Don’t be shy. We are looking for upcoming yet experienced people to join our team. 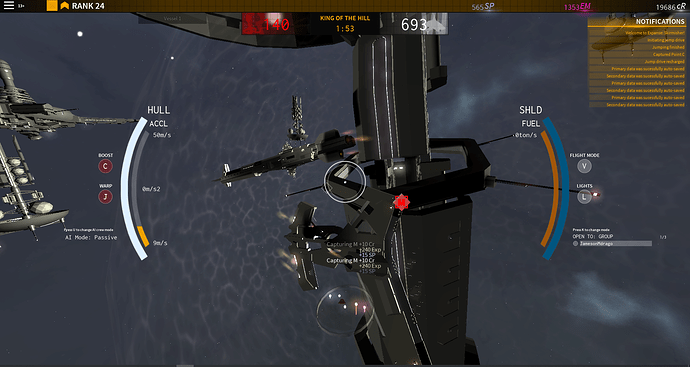 We expect high quality builds that adhere to our game’s style. Good communication skills are appreciated; but not necessary. For questions on that, speak to the department lead for which you would like to work under. 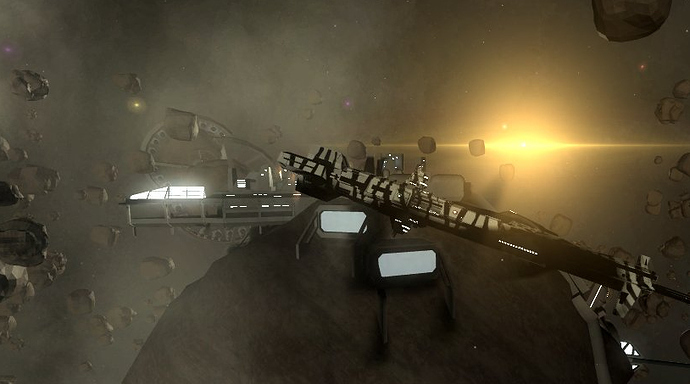 Expanse is a large MMO similar to that of Tradelands, but on a MUCH bigger scale. Imagine a game where you can do what you want to influence the world around you without being held back by linear borders. Where you can travel across space with the freedom of choosing what you want to do next. Expanse is the universe we aim to build to bring you this experience. It is a sector of space loaded with solar systems, stations, planets, wrecks, asteroid fields - whatever; that is waiting to be explored and interacted with by you . We are working as fast as we can to deliver Expanse to your doorstep, but as you might imagine - designing something as large and complex as a galaxy takes time, planning, modeling, and a lot of code . Expanse; Skirmisher has taken us nearly 3 years to complete and we expect Expanse to be just as long. For this time we ask that you work to your best account and follow the division lead’s directions. All payment is reliant on your status with the team and must be discussed with the department lead which you work for. Contractora working for specific assets are often one time payment and long term devs can earn a stake in % earning. For more info, speak directly with the dev leads. So you’re not having any gamepasses or dev products?? That’s our plan. However if this changes, we are certainly willing to change our setup of payment. These choices are not set in stone. How do you intend to make any money? We have an in-game currency that players can purchase for ship skins, but prices are not finalized and we’re using it for ads and whatever else we may need. But again, we don’t really intend on paying devs to keep the work environment free of greed. We’ve already had to deal with people that came in with the intent on changing our mindset and it made for a poor experience. You’re going to have a hard time finding quality developers who will work without pay. It’s not greed; it’s paying the bills. While I do agree with the whole idea that expecting developers to work for free is bad, I don’t think that anyone should rely on roblox development to be paying your bills. Everyone gets this mindset that they’re entitled to success and wealth when in reality there’s no actual way to predetermine your projects success or failure. I wouldn’t work for a studio group, that doesn’t pay their workers. Especially when they say we have “0”. No ads will be posted, I’m assuming and they are wanting you to take time out of your day to create a fun game without profit. You could be working for other studio groups and be making a profit than this. I would stay away from this studio group as they do not pay their developers. If you’re a new developer I would recommend these jobs, as your less experienced. I heavily advise anyone passing throught his thread have a look at the progress the team has done so far. By far this is one of the most professional, motivated, and skilled teams I have seen on Roblox. They’ve been working hard and long on their games and the quality of the product is very great. Don’t let the lack of payment deterr you from applying and working for Meridian Studios, you will be securing yourself a good position on a great team. These guys are A+ . 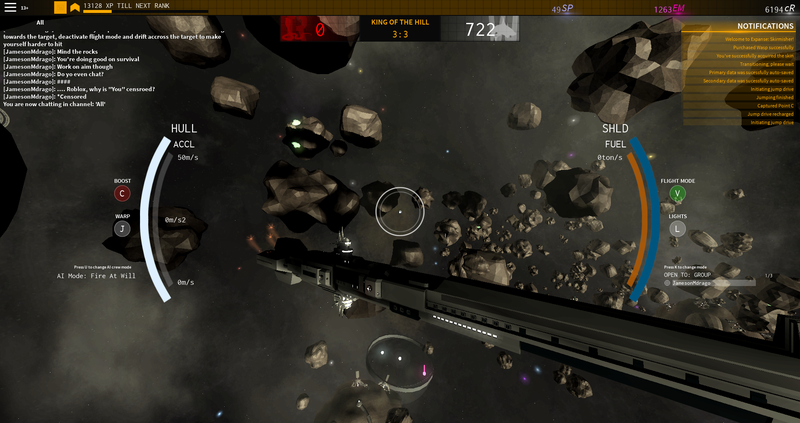 As of now with our work on Skirmisher, we are not looking for much monitization. Expanse however, is unplanned so far and as such we are not looking to advertise payment when we have not guaranteed any way of making it. The risk on Roblox is arguably lower than normal. The risk is only low if no money is invested into the project. I’ll provide a few examples to help you get a better understanding of what I’m implying. Project A: All team members have agreed to not receive any payment until the project has been proven to be profitable. Project A has also been gracefully blessed with free endorsements and advertisements in exchange for game % after hearing about the game’s vision. So far the project is worth $0 meaning there’s no risk for project A’s leader. However if project A does poorly it results in the teams hard work gone to waste unless compensation is given. While not everyone minds wasting your valuable time, a decent amount of people apart of project A certainly wouldn’t be happy since 50% of the time they’re mislead by unrealistic promises that sound to good to be true. Project B: Unlike project A, the team expects a payment up front to continue production. Project B’s leader is skeptical of this request however out of desperation the teams request is accepted. Project B’s leader has now invested $100 into a team of 4 resulting in $400 total. Project B’s leader now faces the possibility of not reobtaining that $400 therefore it’s a risk. Project C: Project C’s leader has decided to take a different approach. Project C’s leader is 100% confident the project won’t fail therefore they’ve decided to spare no expense on development. Not only will project C distribute monthly payouts to the team, they’ve also decided to take development to a professional level through renting a building to put the entire team in. The expenses doesn’t stop there, Project C’s leader has now decided that more modern equipment is necessary to help production run smoothly. Project C’s team currently has 4 members apart of it, so four computers will be distributed to the team. Couple months later and Production is going great so project C has decided to expand the team to 8 members for either extra assistance or to work on a secondary project. Monthly payouts to each individual member. 8 computers distributed to the team. Renting a building for the team. While prices hadn’t been provided in this hypothetical, unlike project A/B C is a parody of a recent failure which can be read here. I’m not saying don’t take the risk, I’m simply stating don’t be oblivious to the possibility you may end up failing rather then succeeding. If you’re oblivious to the risk of leading a project then it’s likely you could end up like this guy depending on how much you lose in the process. Keep your expenses to a minimum, don’t exceed your budget unless you can afford to lose it. [CLOSED 65K+ 35% OR 40K + 40%] Recruiting Programmers for QuestMaster! I don’t blow anything on product creation. If I blow money on something, it’s marketing. As of now we have no guaranteed payment method and the whole team has agreed to go unpaid until it’s proven profitable, such as Project A. However, we also have contractors that do one time jobs and we pay them upon completion. So we basically take a piece from each of these examples projects. We understand that advertising as free labor is somewhat counterproductive but it helps us find people intetested in the project rather than the pay.